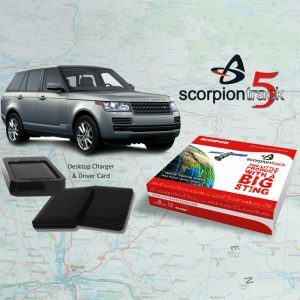 Increase your productivity and protect your vehicles for as little as £399.99 £369.97 inc. ScorpionTrack Fleet Management Systems have revolutionized fleet management. Capable of increasing productivity whilst decreasing operational cost this system is a powerful tool for any sized business. Manage your fleet in real time with ScorpionTrack's comprehensive smart-phone application and optimise your business through better coordination and effective journey planning. 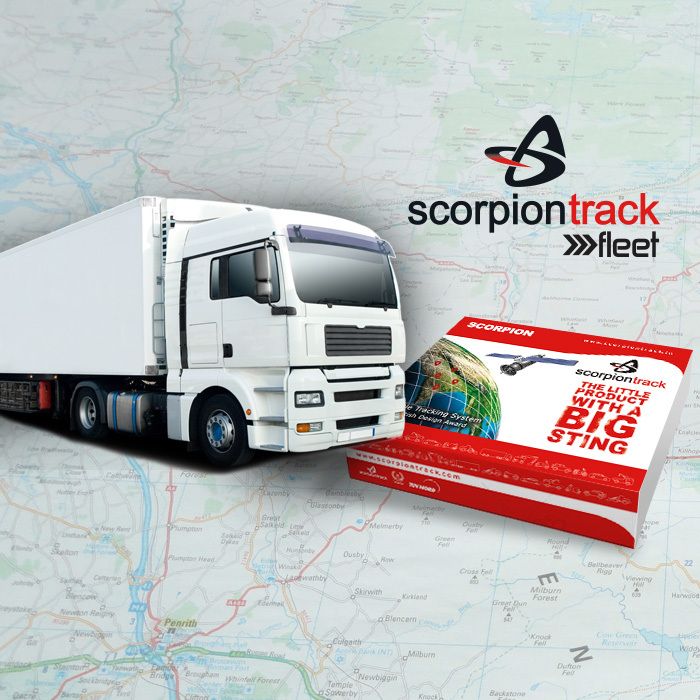 ScorpionTrack's Fleet Management System is Thatcham Approved and insurer recognised meaning it can reduce the price of costly premiums. Purchase from TrackingUK and one of our installation specialists can fit your device from the comfort of your own home. Receive all the benefits of CAT 6 protection, including 24/7 vehicle monitoring, GPS & GSM technology and more. “ I totally rely on my bike to get me to and from work six days a week. After seven months hassle free parking I got lazy and didn’t put the lock on but knew I had tracking device fitted. One day, I got the text saying my bike was moving – I had my phone on silent so was a few minutes late getting outside by which time I saw them riding off down the road on my bike. I called the police, then logged into my tracking account on my phone and phoned the emergency theft line. Within five minutes the details of the exact whereabouts of my bike was not only staggering but a gigantic relief that my pride and joy was traceable. Within one hour I had my bike back in my hands. Incredible! Something you invest money in actually works. It is worth every penny, your belongings really belong to you and no-one else with a tracking device fitted. Why should I use TrackingUK? 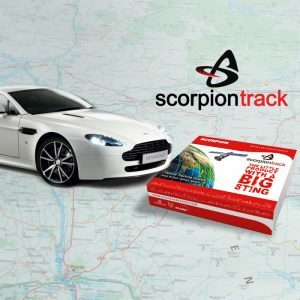 Established in 2015 TrackingUK is a Sussex based ScorpionTrack approved security system retailer. Specialising in GPS & GSM vehicle and fleet tracking solutions. We have specialist industry expertise and our expert team is dedicated to providing the highest level customer service possible. We are driven by customer satisfaction and as such we ensure that every tracker comes with the option of home fitting and installation as standard. At TrackingUK vehicle security matters. as such we only stock the most comprehensive security systems capable of offering the highest level of theft-prevention. Can this reduce the cost of my insurance? 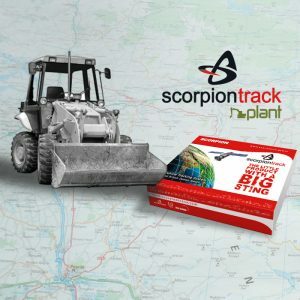 Our award winning ScorpionTrack CAT 6 Security system is Thatcham Approved and insurance recognised meaning it can effectively reduce your insurance premiums by as much as 15%. Our nationwide network of insurer certified installation specialists are able to professionally fit your system in accordance with industry recognised standards. Those with a CAT 6 Security system are 90% less likely to be a victim of theft and as such are far less likely to make a related claim. Increasing insurer confidence and reducing costly premiums. Our CAT 6 Security systems utilise GPS and GSM triangulation technology in conjunction to precisely calculate the current location of your vehicle accurate to up to 4 metres. With up to 100% EU coverage we are able to use this technology to monitor a vehicles location, direction, ignition state, battery condition and speed and instantaneously relay this information to the relevant authorities in the event of a theft. GPS & GSM technology is an extremely effective tool in theft prevention and vehicle recovery.